Need an idea for cheap and easy weeknight dinner recipe? 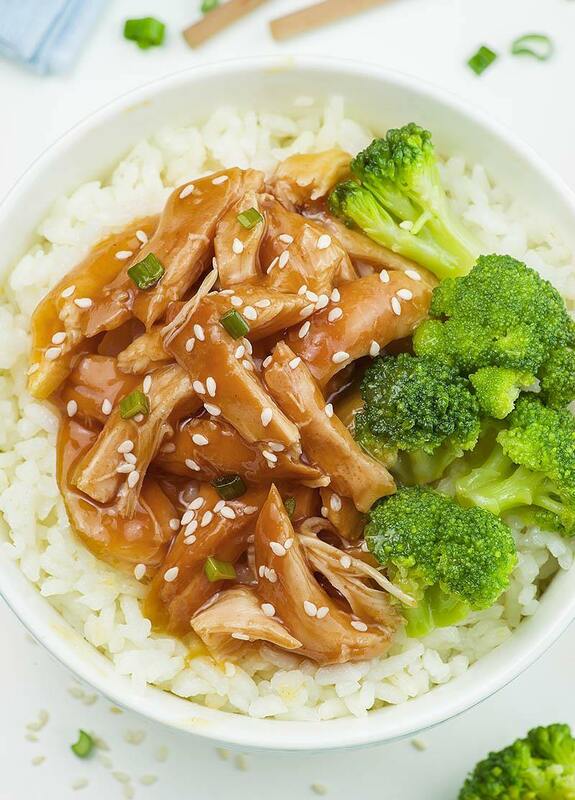 Easy Crockpot Teriyaki Chicken in homemade Teriyaki sauce with garlic, honey and soy sauce, served with broccoli and rice as a side, is definitely healthy and easy meal for your family. Not to mention, this Easy Crock Pot Teriyaki Chicken is crowd pleaser , as well as this Chicken Alfredo Bake! Since this is a slow cooker recipe, it’s not a quick dinner, but definitely easy, delicious and healthy. It has a short ingredient list and you don’t need much active time from prep. Place boneless chicken breast in your slow cooker. Stir together soy sauce honey, garlic, onion and ginger to make homemade teriyaki sauce, pour over chicken and let your Crock Pot does all the work. In fact, you can just sit and enjoy the smell of the soy infused chicken cooking away. That’s why I love my crockpot so much. I love when dinner can cook itself. Moreover I love the results. There’s nothing better than chicken cooked in slow cooker. 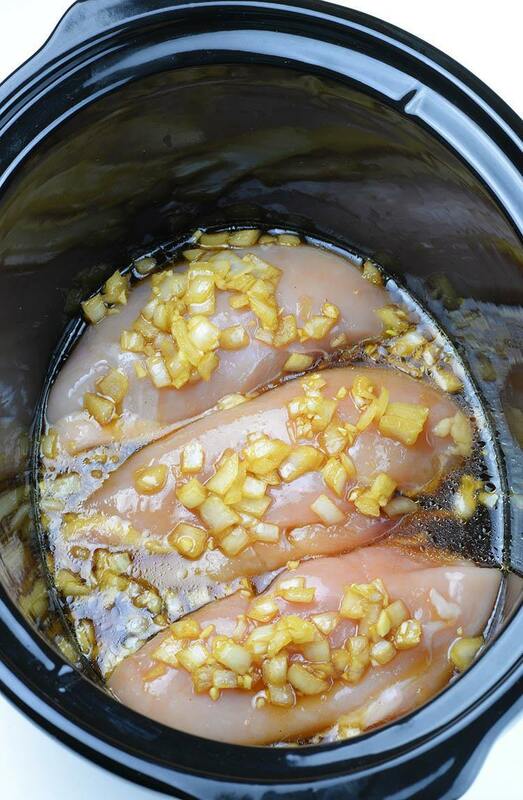 Crockpot chicken is always cooked to perfection. It simply melts in your mouth. It’s incredibly soft, tender and juicy. You can shred it easily with a fork, it basically falls apart. 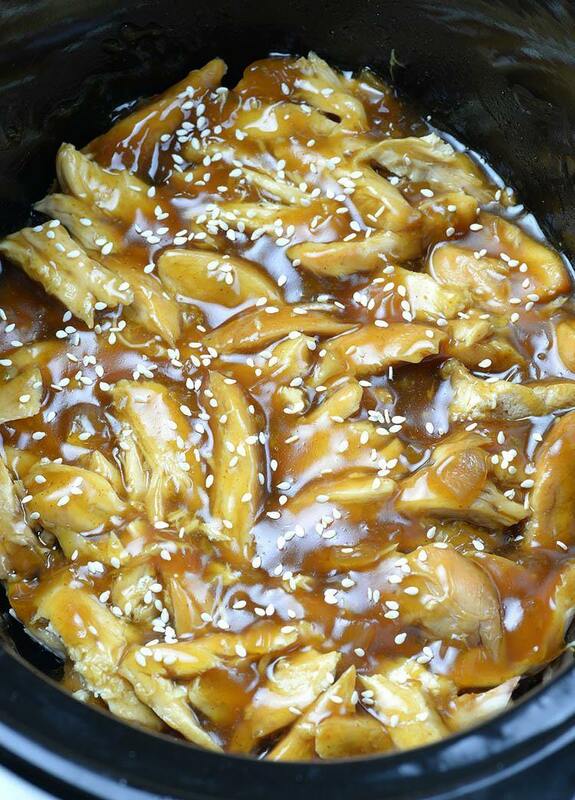 Teriyaki chicken is a classic, but cooking in crockpot make a huge different. Easy Crockpot Teriyaki Chicken is out of this world! On the other hand, this homemade teriyaki sauce is awesome. Using honey as a sweetener unlike the majority of recipes that use sugar, make a huge difference in flavor. When I found this recipe I knew I have to try it. Homemade tender chicken with sweet and savory glaze is better than any take out meal. 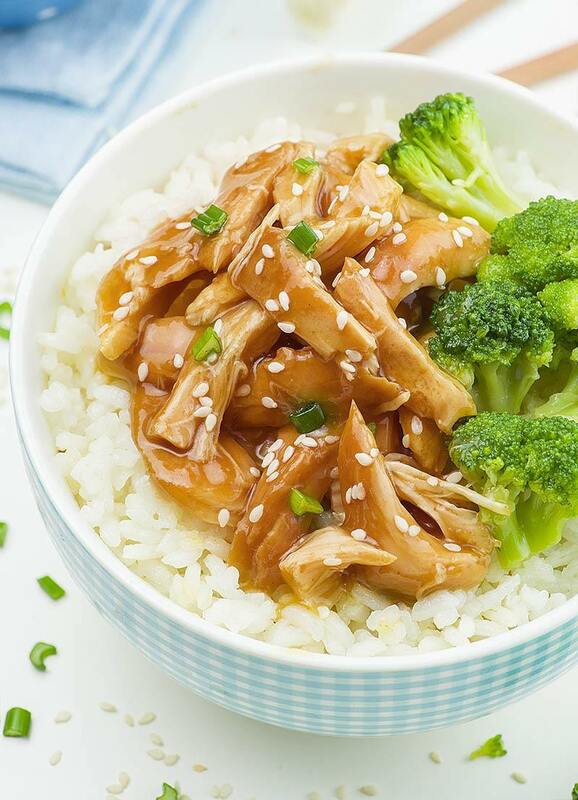 Given these points, this Easy Crockpot Teriyaki Chicken should find a place at your dinner rotation. I’m sure your family will love it. For more healthy and easy chicken recipes check Healthy Chicken, Cucumber, Tomato and Avocado Salad, and Healthy Slow Cooker Chicken Breast. Need an idea for cheap and easy weeknight dinner recipe? Easy Crockpot Teriyaki Chicken is just what you are searching for!!! Recipe adapted from Gimme Some Oven! This looks so yummy! It’s going on my meal plan right now. Thanks! Can you put the chicken in ‘frozen’ or should it be thawed to start? Should the chicken breast be thawed first? Hi Perdita, yes thaw them first. If I have premade sauce, how much should I use? And do I need to thicken some of it like in the recipe? Hi Andi, sorry I haven’t tried with premade sauce, I always make it from scratch. Followed the recipe to a T and not sure what I did wrong. The chicken turned out shredded (looks nothing like pic lol) and although the sauce isn’t bad it’s overwhelming.